View the Pages of Our Website for Samples of our Bath & Body, Holiday, Wine & Gourmet and Local Carolina Baskets. There’s something magical about the holidays and special occasions throughout the year. It’s a time to show others how much we care and a time for sharing with those we love. At Main Street Ltd we feature a wide selection of pre-made and custom gift baskets. Whether the occasion is a holiday, anniversary, a thank you or a birthday – a gift basket from Main Street Ltd in Brevard, NC is the perfect gift. Our baskets are shipped nationwide and arrive beautifully wrapped and spilling over with all kinds of goodies! Have a wine lover in mind? 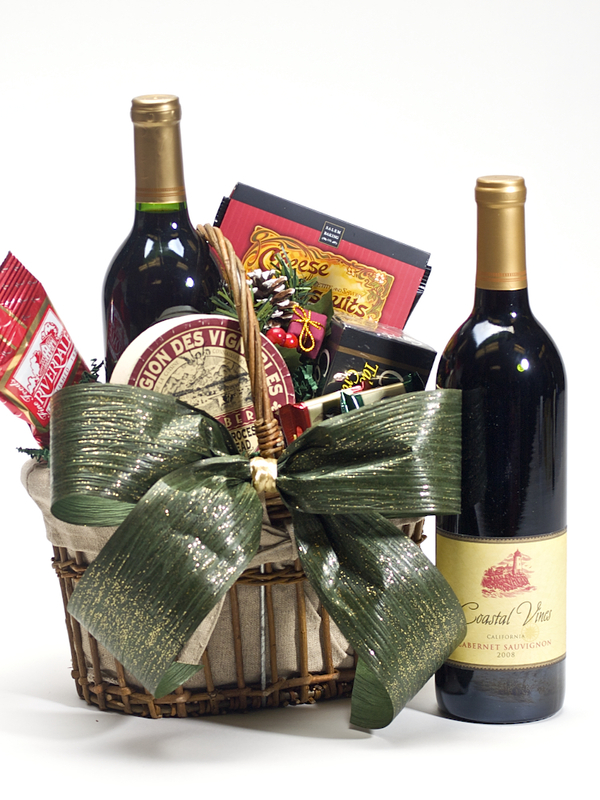 How about one of our delectable wine & gourmet baskets? Someone in need of a little pampering…we’ve got bath & body baskets suitable for anyone on your list. Kids in mind…toy baskets and camp care packages are available too! We take great pride in our North Carolina heritage and we’ve tasted our way across the state – from the Carolina Coast to the Blue Ridge Mountains to offer you and your loved ones our Carolina Gift Baskets. Brimming with pride, and the best of the best in North Carolina, these baskets are full of local products showcasing the richness of our land. We are your one stop (or one call) shop for gift baskets in Western North Carolina. Offering an endless array of treasures and delights, we are committed to making your holiday and any special occasion enjoyable and stress-free with the perfect gift baskets for those you love. Need a custom basket? We can handle that too. Just bring us your list and we’ll take care of the rest. Happy Gifting from Main Street Ltd right to the ones you love!